James La Barrie is passionate about the power of internal and external marketing and the benefit a company’s service culture can have on its customer base, reputation, employee satisfaction and retention and, ultimately, bottom line. Originally from the Caribbean island of Antigua, James’ parents were hoteliers known for delivering excellent service. He saw firsthand that to treat people well is to gain loyalty from customers. 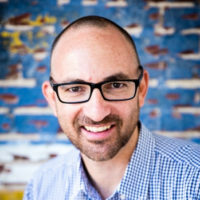 James has built a reputation as an outstanding marketer and champion of customer service, but through years of experience, he identified a significant disconnect between marketing and service. Often these business elements are treated separately but, in James’ view, they are both one and the same. Expending resources on an external marketing plan is pointless without first establishing a foundation of stellar service. If both are combined then the end result will be a level of loyalty seldom experienced by many companies today. The Beyond Marketing philosophy can be summarized in three steps: a) attract new customers, b) ensure these customers become repeat customers, c) create systems so that your customers will market for you. “It’s not our job to please the customer … it’s our job to amaze them!” is the cornerstone of James’ approach. With today’s technology, every customer with Internet access has the power to impact a company’s image in just a few seconds. Let James show you how these customers can become your greatest advocates.